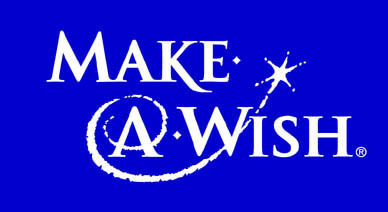 Back in January I signed up to be a volunteer Wish Granter at the Make-a-Wish Foundation. And no, not just because of Bat Kid (although that was awesome). I had been thinking about doing some volunteer work for a while, so I joined VolunteerMatch.org. Based on your location and interests, this site will suggest different volunteer opportunities that might be a good fit for you. Make-a-Wish was the first place they suggested for me, and as a longtime admirer of this unique organization, I was psyched at the thought of working with them. “Wish Granters” are volunteers who go meet with children (ages 3-18) with life threatening medical conditions, whose parents have signed them up to have a wish granted. The WG’s job is to interview them to find out what their exact wish is, if they have one. And if they don’t have one, the WG attempts to find out more about them, and what kinds of things will make them the happiest. I’ve discovered that you don’t just sign up to be a volunteer with Make-a-Wish. It’s a process, much like applying for a job. Given the WG’s contact with children, I understand why they need to be thorough. When I first signed up, I got word back about a month later that they were holding an informational orientation for prospective volunteers, which I went to back in February. The guy leading the meeting has been a volunteer himself for years, and within the first few minutes, he was struggling through tears to tell us about some of the wishes he’s been involved with. He told us that before volunteering with MAW, that he was a very closed off person. He never cried or told his family he loved them very often. He said MAW changed him for the better, and that it would change us too. The next step in the process was to fill out the official application forms. We had to give them three references and pay for a background check. Then after waiting about two weeks for all that to be processed, I finally heard back a couple days ago about the last step in the process, which was scheduling a phone interview, which I had today. The phone call was pretty casual, in which the volunteer coordinator told me about her own 20 years of experience as a Wish Granter. She asked standard questions about my background, and asked why I wanted to volunteer with MAW. The truth is, I don’t fully understand why myself. It sounds intense and difficult on many levels. It sounds potentially depressing. But the more I hear about the work of a WG, the more I feel pulled to do it. I mean, helping to fulfill wishes for kids? It just feels like nothing could be more magical than that. I should hear back soon. Wish me luck!